I don't remember if I drew this as a late birthday gift or because I mentioned the ideal, but here it is. While I tried to improvise some of the outfit in the direction of what she usually wears with lacy and frilly parts on a few places, the overall design probably isn't exactly her style, (though she's probably model for a scifi themed photo shoot.) 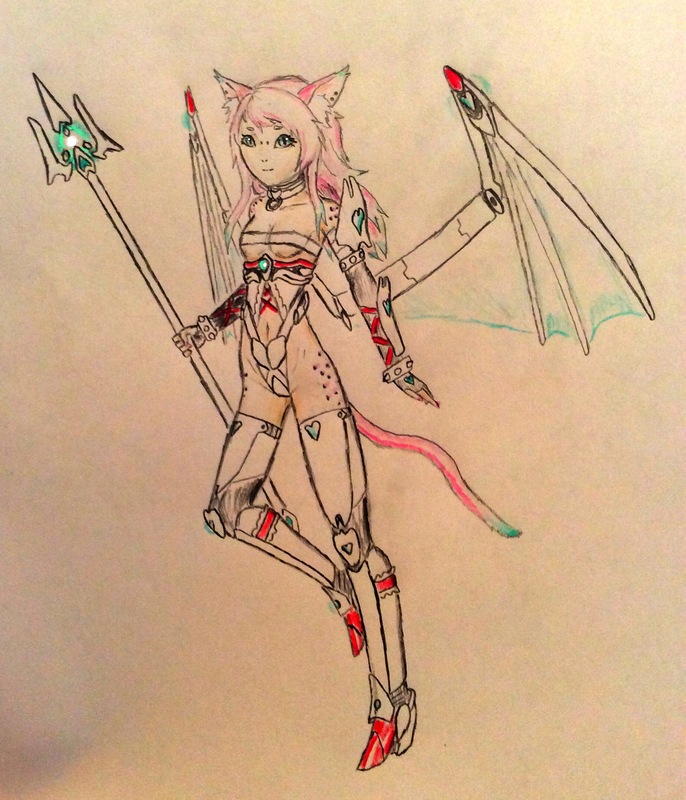 Also the wings and pitch fork kind of for the cat demon aspect. Whatever you say... That is really awesome too! The shading isn't creating any 3d but the lines have a great sense of dimension. Thanks. I actually paused with deciding whether to color more parts of the suit red or pink or at least shade the white with light blue.